Country Music Concert Summer 2019 in Germany – a small Boom? Country music in Germany has a hard standing. It is still not played in most radio stations – or declared as “Southern State Rock” or similar. However, the very well sold Country 2 Country 2019 in Berlin showed that there is a significant potential for the genre in my home country. It more and more seems that country music is growing, even booming a bit here. At least there are a lot of interesting acts, which dare to add Hamburg, Berlin, Cologne, Munich and other cities to their tour schedule. Thus, I thought to post this little overview about the country music concerts 2019 in Germany. I also added concerts which are close to Germany, mainly located in the Netherlands. Yeah, there are still a couple of tours which are UK only. The most prominent acts who just visit the island are likely Carrie Underwood and Chris Young. While the people over there are complaining that some acts might not hit their city or region, I feel very thankful and excited that we got some really good acts over here. For many of the shows, the ticket prices are ridiculously low (also for most of the UK shows), so that it is hard to imagine that the artists really cash in significantly when coming over. It’s great to see that they feel that promoting the music in the Netherlands and Germany is worth it. Some of the artists already created a significant fanbase here. 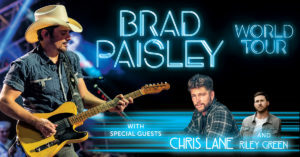 The top act visiting Germany is likely Brad Paisley. However, he just has one show in Berlin, which has been quickly sold out. I feel it will be very interesting to follow the Sound of Nashville series in Germany the following months, as it regularly promotes the genre countrywide (here is my review of the Sound of Nashville event in March 2019 in Cologne). I feel this could lead to a much more sustainable development of the music in my country. The most interesting time of the year seems to be early October, when several artists hit Europe in parallel (bad luck I am in holiday that week…). Due to the length of the posting, I just linked the Youtube channels of the artists and did not pick characteristic songs. 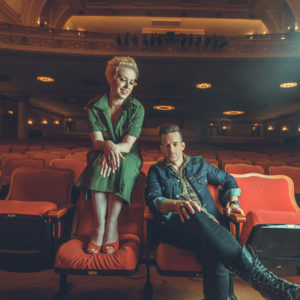 Here are the 2019 country music concerts of US-based artists in Germany. When Brad Paisley announced that he will play on German soil for the the first time, it was definitely a country music sensation. The concert in the 3,500 people fitting Tempodrom in Berlin was sold out extremely quickly, like other venues of his tour as well. He will be supported by Chris Lane, which feels to guarantee a great country music night. Old Dominion is the first major act presented under the Sound of Nashville label. They recently won the 2018 ACMA Award as Best Vocal Group of the Year. Five Old Dominion songs so far reached the top of the US Country Airplay charts. The headliner is supported by Jordan Davis, who already had one US Country Airplay chart topper, Singles you up, in 2017. You may call the actor and musician one of the pioneers of the US country music scene members. His recent album preview shows in Cologne and Hamburg sold out in minutes. In October he is back in Germany, playing some major venues. Furthermore, he is having some gigs in Austria as well. 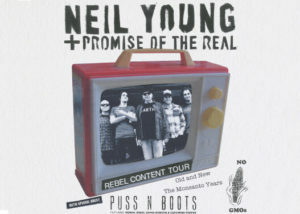 Neil Young is a multi-genre world class musician. His current “Rebel Content Tour” 2019 is especially interesting for country music fans, as Young is backed by the Promise of The Real band, the band of Lukas Nelson. I am a huge of Nelson after meeting him at the 2018 Country 2 Country festival. I loved Maren Morris’ first album Hero, However, my review of her second long-player GIRL was rather mixed. Nevertheless, I look forward to see her live on stage in May in Amsterdam (I am in London in parallel to her Cologne concert). One huge factor that I am looking forward to Maren Morris’ 2019 is that she will be supported by powerful Texas girl RaeLynn. I loved her appearances during the 2019 C2C in London. 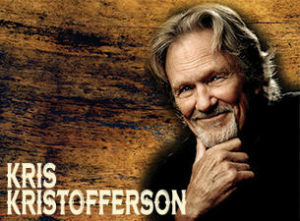 Kris Kristofferson is truly a legend of the genre. There will be three shows in Germany in June. He is one of the few acts, who has regularly sold out major venues in the past. Australian Morgan Evans, Kelsea Ballerini’s husband, will do his first ever gig in Germany in early September. He had a very successful time during the last months, so I guess his show will be great. Might be absolutely worth visiting if you are around Berlin. 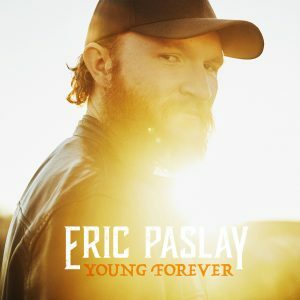 Eric Paslay’s “Friday Night” was one of the first songs which attracted me to country music. Unfortunately, his gig in Cologne is in parallel to one of the Weird Al Yankovic 2019 tour concerts I am going to attend. I can absolutely recommend visiting one of the stages. 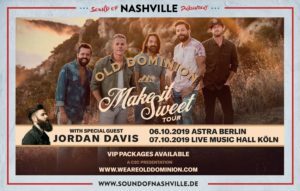 Before Old Dominion are touring Germany,Jarrod Dickenson will be the next Sound of Nashville series act in Germany. 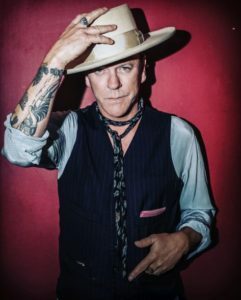 He will visit Cologne, Hamburg and Berlin in three shows in June. This is quite remarkable, as Dickenson will be on stage in parallel to the CMA Fest in Nashville. His support act will be Robert Vincent, an English, Liverpool-based country and blues singer. Keifer and Shawna Thompson are a married country music duo, who are doing music since the early 2000’s. Are you gonna kiss me or not topped the US Country Charts in 2010. If I didn’t have you was a leading song in the US Country Airplays two years thereafter. Though none of the singles they released have been comparably successful, but nevertheless, their shows in Hamburg, Berlin and Cologne are definitely worth visiting. I saw Lindsay Ell the first time at the Country 2 Country in Berlin 2019. Just a couple of days later, she performed in the Blue Shell in Cologne, a more intimate venue, in a Sound of Nashville show. The Country 2 Country 2019 in London, where Ashley was one of the main stage acts, gave me a very different view on her music. While I have been rather sceptical before, I started to love her lyrics and songs in the British capital. Her “Fat and Famous” was one of my favorite songs of the festivals of that year. 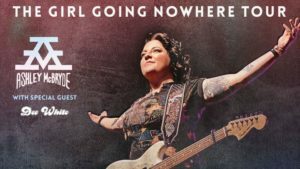 She is a supporting Asleep at the Wheel, Joe Nichols and Rosanne Cash in Gstaad, Switzerland, while she will headline the shows in Hamburg, Berlin and Amsterdam. 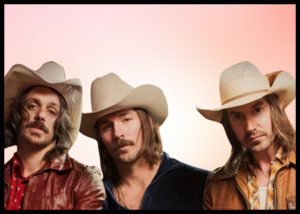 I saw Midland on stage in December 2018 in Glasgow. At the end of the year, they are coming back to the United Kingdom. One show, however, will be held at the famous Melkweg venue in Amsterdam. If you want to see their top hit Drinking Problem live, travelling across the border may be an option for you. 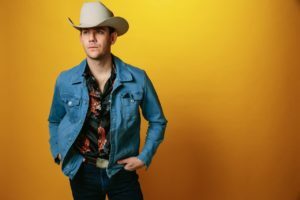 Just about one year after Sam Outlaw visited Germany the last time, he will come back to Germany, the Netherlands and Denmark in September 2019. I liked his appearance in Cologne the last time, so I can definitely recommend to have a listen to this California-based country artist. 2019, he will be supported by Lydia Luce. I just listened to some songs of her quickly, but I feel it may be worth listening to her music as well. If you think about bands like Lynyrd Skynyrd (who will have some shows in Germany in 2019 as well), it is very hard to split between rock-alike country music and “Southern Rock”. Whiskey Myers are definitely in between in of these genres. 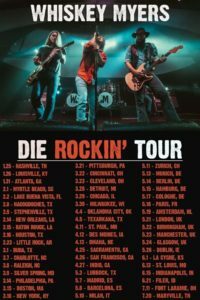 Thus, the Whiskey Myers band’s concerts in Germany, Switzerland and the Netherlands might be a good opportunity for you to visit if you want to get a first touch into the music. The support act Warload though is more on the punk rock than the country music side. 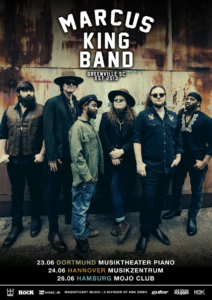 A similar mix of genres is the Marcus King band, who is doing a couple of shows in the region. The music is a mix of blues, Southern Rock and country music. I only listed tours in May adn thereafter. There are some interesting country music shows around Easter in Germany as well. Home » Music & Media » Just Blogging on music » Country Music Concert Summer 2019 in Germany – a small Boom?